Two of our favourite brands have joined forces to create a show-stopping look for a unique bedside bassinet. Every time we’ve featured the Bednest we’ve always had an overwhelming response. Likewise when we feature anything from the brilliant Olli Ella. Now the two have collaborated, we’re expecting a site meltdown! 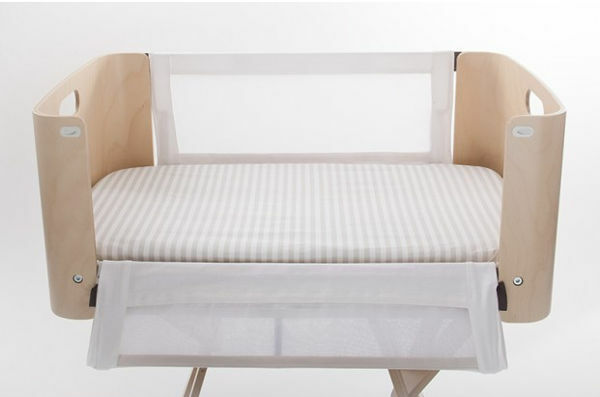 For those who are unfamiliar with the Bednest, it’s an innovative bassinet, cot and co-sleeper in one. 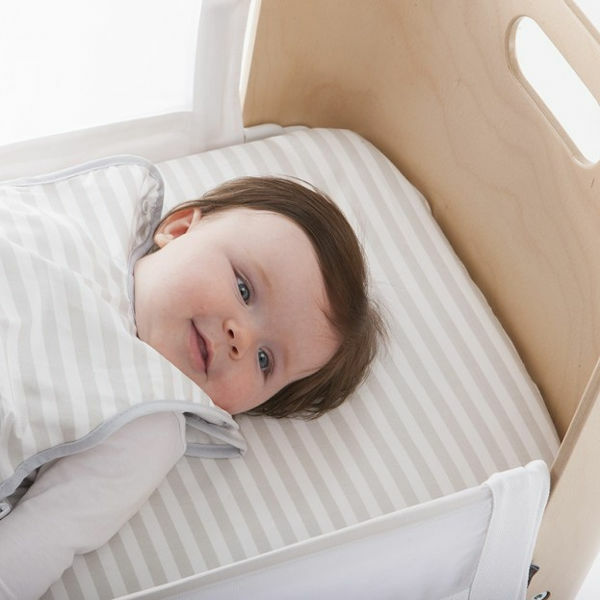 Not only does it have a stunning minimalist look, the practical uses for this piece of baby furniture are many. 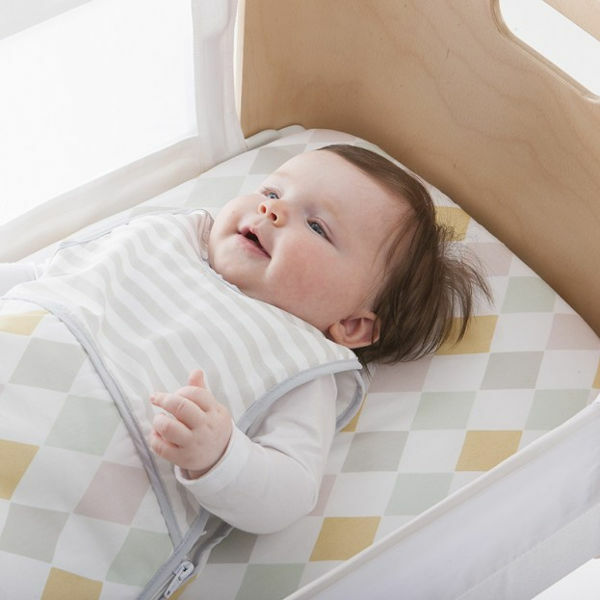 It can be used as a traditional bassinet, but also as a co-sleeper, with its SafeBridge system, which means there are no gaps between the Bednest and the parent or carers’ bed. Olli Ella is a beacon of light in nursery décor and decorator items, including linen. So we were thrilled when learned these two brands were collaborating – and here’s the result: custom bedding to fit the Bednest. The bedding comes in either a Harlequin Dawn fitted sheet ($39) or Stripes fitted sheet ($39). The collection is due to arrive in October, but you can register to receive notification when the stock arrives.